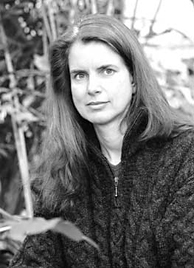 Suzanne Strempek Shea is the author of five novels, Selling the Lite of Heaven, Hoopi Shoopi Donna, Lily of the Valley, Around Again, and Becoming Finola, published by Washington Square Press. She's also written two memoirs, Songs from a Lead-lined Room: Notes - High and Low - From My Journey Through Breast Cancer and Radiation, and Shelf Life: Romance, Mystery, Drama and Other Page-Turning Adventures From a Year in a Bookstore, published by Beacon Press. Winner of the 200 New England Book Award, which recognizes a literary body of work's contribution to the region, Suzanne began writing while working as reporter for the Springfield (Mass.) Newspapers and the Providence (R.I.) Journal. Her freelance work has appeared in Yankee magazine, The Boston Globe Magazine, The Philadelphia Inquirer, Organic Style, and the former New England Monthly. I think writing is fun. Even when it's hard, it's still fun. I can create a world from thin air. What could be cooler? And, think about it—what are your friends doing for a living? Most people hate their nine-to-five existence. I feel very fortunate and blessed to have found this thing I do for a living, and, as opposed to the Jerry Springer-fit pedagogical approach described in Jeffrey Harrison's multi-tined poem “The Fork,” a big goal when I teach is to foster and share that excitement—the idea that the process of writing, and the writing life, can be a blast. I'm with The Boss when he sings “It ain't no sin to be glad you're alive,” and I tack “and a writer” onto the end of that line. One of my literary-world pet peeves is the notion that the creative life requires you to sweat blood. If it's that hard for you to do this work, perhaps you shouldn't be doing it. Life is short. Why spend your time in agony? Packets will be read with respect and thought, and will be returned with lots and lots of markings. I mark up both what's well done and what could use some work. I think both are equally as important to note. And as the semester progresses, threads of both positive and negative habits can be picked up on and discussed - that's one of the greatest things about this form of one-on-one teaching, getting to know the writer and his or her work. I do make brief comments in page margins, and then detail those thoughts in an email that you'll get as soon as I finish it. I had never checked before this winter, but now that I have, I can report they're about five or six pages. I'm happy to communicate via email throughout the semester, and, after a packet is sent back, I'm here for emailing or phone conversations. I like reading annotations. Other than stressing the importance of reading in a writer's life, I find they're a great exercise in criticism, and also often are the switch that lights the correct bulb: what an author has to say, or how it's been said, might benefit the student. I am all for annotations that contain the personal—the writer's thoughts on how a story or style got them to think in a new way, or inspired them to attempt something in their own work. I comment on and mark these up in the same manner I do the rest of the packet. A student is free to choose the books for annotation, but, as a reader, writer and bookseller, I always have recommendations—or know where I can go to get some! Speaking of reading, I also have suggestions for titles on craft, those containing writing prompts and other exercises. As with the titles for annotation, the longer I work with a student, the better feel I have for which books might help or best fit, and will suggest accordingly if that's welcomed. To date, most of my critical essay students admirably have come complete with a planned topic and plan of research. In cases where ideas have been less than fully formed, I've enjoyed joining in the brainstorming, and, of course, making reading suggestions. I have published both fiction and non-fiction titles, and was a newspaper reporter for 15 years. So I can mentor students in fiction or non-fiction, and also could provide information or advice about journalism if that is a side interest as you move through this rich, intense, and, of course, fun experience.